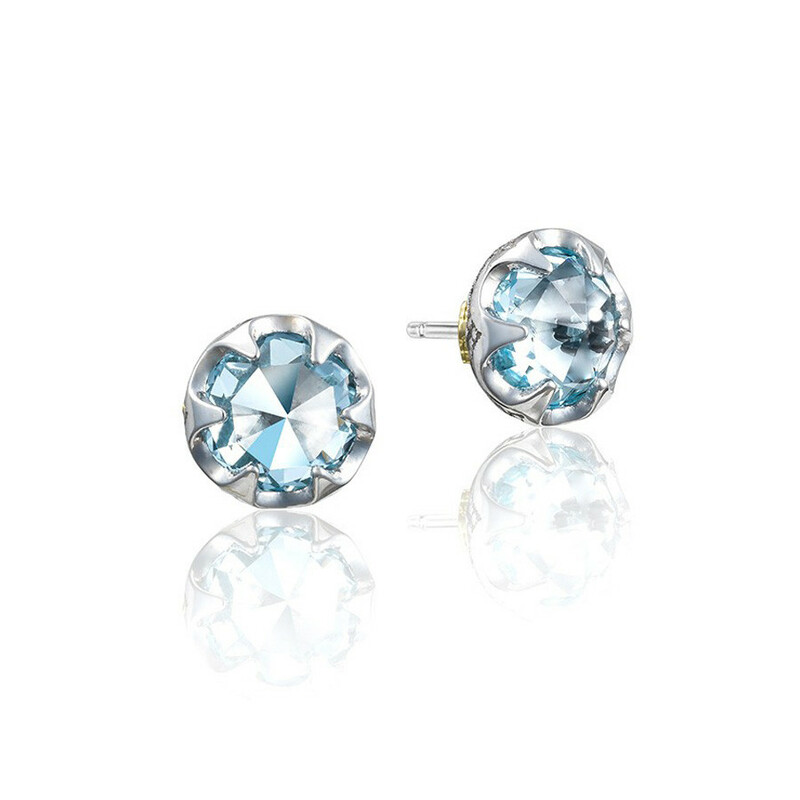 In Tacori's Sonoma Skies collection, you'll find this delectable set of stud earrings. Glamorous sky blue topaz gemstones are nestled within sleek sterling silver baskets that are detailed with minute milgrain accents, and they are mounted on post backings for a comfortable fit. These unforgettable Tacori earrings will shimmer with luxurious appeal.